Caleb Huffman admits that his transition to the University of Washington was daunting. The number of undergraduates alone is 30 times larger than the population of his rural Washington hometown, Onalaska. When he was accepted to the UW, Huffman knew he wanted to major in political science and communication. But on top of adjusting to college life, he had a more pressing problem: He had to figure out how to pay for it. Huffman’s mother raised him and his four siblings by herself. She drove him to Centralia College, an hour from their house, for his Running Start courses during high school. She encouraged him to pursue his academic interests — and she was even the first person to tell him that communication was a major. But though encouragement was never lacking, the family’s finances were always tight. Federal loans, financial aid and the State Need Grant went a long way toward covering Huffman’s expenses, but they still left a significant gap. Then the Husky Promise, which helps cover tuition and fees for Washington state students from low-income families, brought him over the finish line. “The support I received made all the difference,” he says. Without a financial burden to worry about, Huffman hit the ground running at the UW, participating in several campus groups and building a diverse community. After his freshman year, Huffman pushed himself even further by traveling outside the U.S. for the first time. He went to Rome with the support of a grant from the U.S. Department of State, which he learned about through the UW Office of Merit Scholarships, Fellowships and Awards. In addition to studying global cities and human migrations, he volunteered at a refugee center. 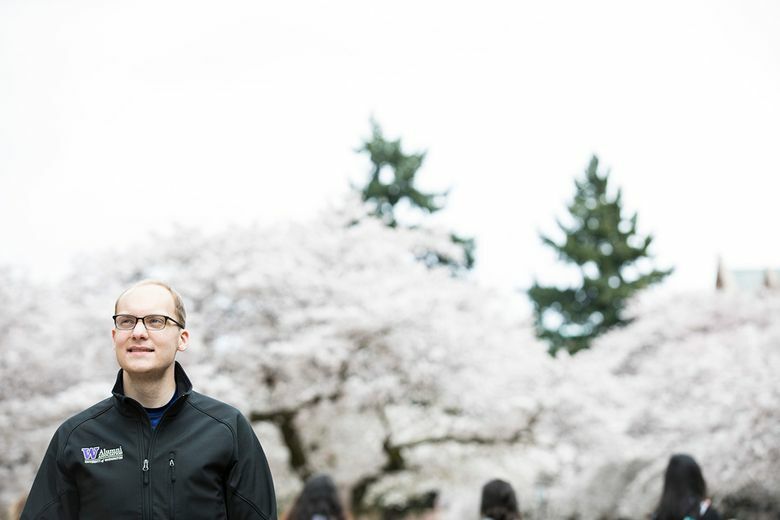 As a sophomore, Huffman was accepted into the Husky Presidential Ambassadors Leadership Institute, which matches current UW students with incoming first-year students from China to develop cross-cultural communication and leadership skills. After a week of leadership prep on campus, Huffman spent two weeks with his cohort at Tsinghua University in Beijing, where they studied alongside newly admitted UW international students who would be moving to Seattle in the fall. Huffman’s growing interest in U.S.–China relations made him want to return and keep learning. 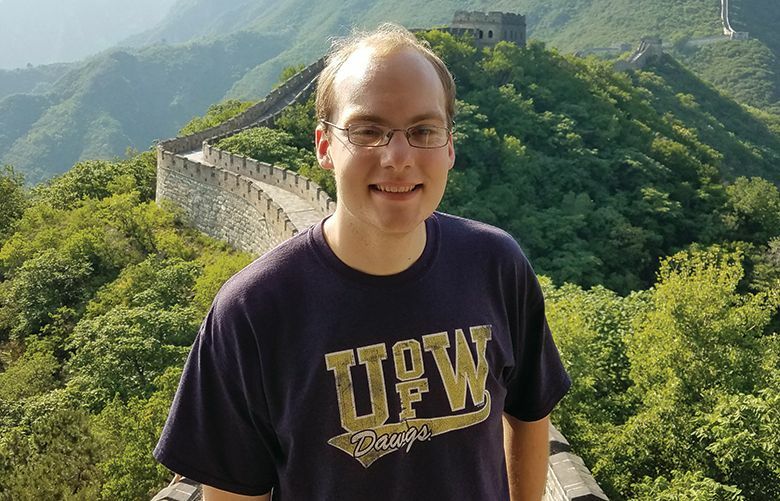 With more financial support from the UW, he was selected for two international bridge-building programs with conferences in the U.S. and China. He spent part of a summer in Chengdu, improving his Mandarin and learning more about China’s culture. And he got involved in the Gorton Center Global Leaders Program through the National Bureau of Asian Research, focusing on policy and business leadership. Ultimately, Huffman hopes to become a lawyer, working in the U.S. legal system to help strengthen our country’s relationship with China and contribute to a more peaceful world. His pursuit of that goal has taken him abroad once again. Thanks to his academic success and extracurricular interests, Huffman was selected as a Yenching Scholar at Peking University — a fully funded, highly selective program. He began working toward his master’s in Chinese law and society last fall. “The U.S.–China relationship will be the most critical bilateral relationship of my lifetime. How we will shape each other’s, and the world’s, international norms is a question of utmost importance,” says Huffman. To apply for the Husky Promise, students must meet eligibility requirements and submit state or federal applications for financial aid. No separate application is required. Learn more at uw.edu/huskypromise.